Our work is based on three key programmes: Sustainable Programme Delivery, Sanitation and Hygiene Advancement and Sector Engagement and Influencing. 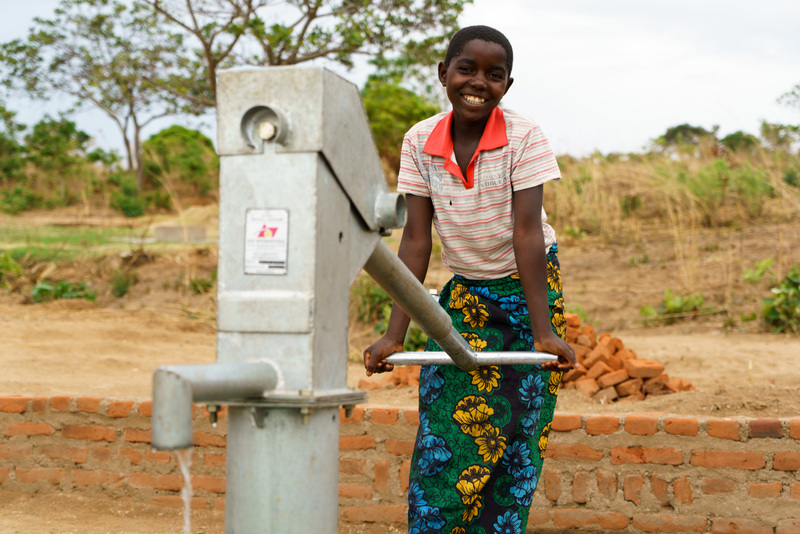 At WaterAid Malawi, we focus on successful past programmes that we can consolidate, replicate and scale up to promote sustainability. We want to ensure WASH (water, sanitation and hygiene) rights for everyone, as well as promoting good hygiene behaviour. We do this by developing the capacity of sector stakeholders, creating and sharing important research and influencing government policy and institutions. Our strategy is based on the promotion and integration of good water, sanitation and hygiene (WASH) services in other aspects of human development such as health, education and nutrition. The Sustainable Delivery Programme ensures that sustainable, equitable and inclusive WASH services are delivered at scale through strong local governance structures that prioritise WASH and enhance citizens’ participation. To achieve this, the programme develops and implements models of sustainable service delivery and enhances coordination,integration, planning mechanisms and accountability for WASH service delivery at the local government level. It also champions citizen empowerment initiatives so that people understand their WASH rights and responsibilities and are able to claim their entitlements and safeguard them. This programme focuses on interventions that facilitate prioritisation of sanitation and hygiene at all levels and across sectors, for sustained improved health and livelihoods. To achieve this, the programme advocates for the strengthening of leadership and coordination for sanitation and hygiene and increased funding and investment for sanitation and hygiene within and across sectors. It ensures an integrated and functional planning, implementation and accountability mechanisms for sanitation and hygiene as well as support the development and review of legal and policy frameworks that govern sanitation and hygiene. This programme contributes to the creation of an enabling environment and an engaged and well-coordinated sector that recognises and promotes the realisation of WASH rights. It includes all national level sector engagement initiatives such as sector coordination, policy engagement, cross sector collaboration and integration, sector performance monitoring and accountability. To achieve this, the programme works with other sector players to ensure that there is a well- coordinated sector that facilitates integrated planning, resourcing, and implementation, monitoring and reporting at national and decentralized levels. It ensures that there is a vibrant civil society that proactively engages in the WASH sector.